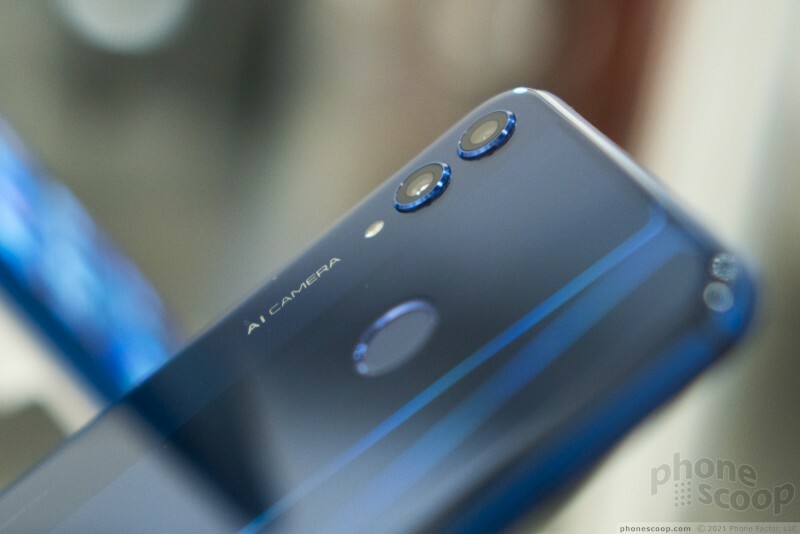 About all we can say for sure about the Honor 8X, spec-wise, is that it has a 6.5-inch, full-HD screen. 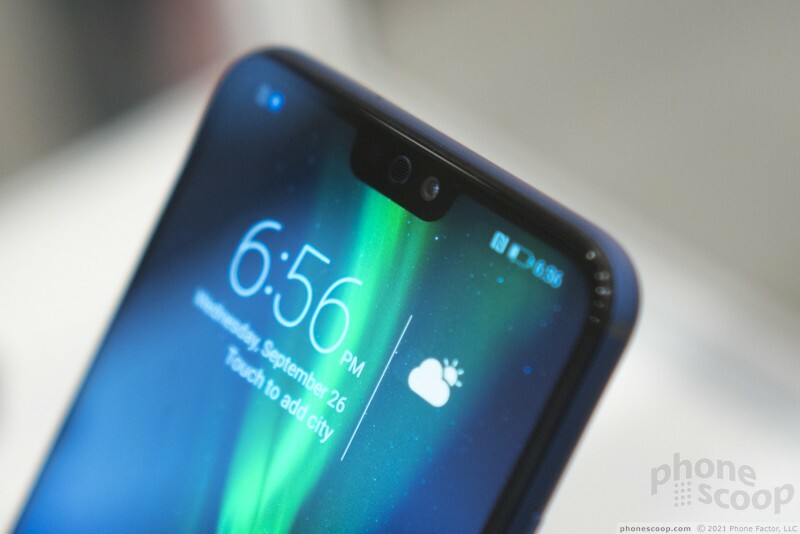 The screen has the rounded corners and notch that are all the rage these days. The narrow bezels give it a screen-to-body ratio of 91%, which is about as "all-screen" as a phone can get right now. It's also obvious that it has dual cameras, a fingerprint reader, and a metal frame. 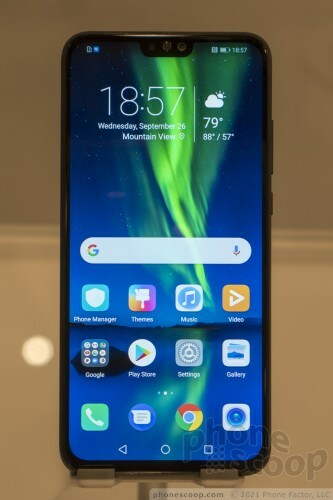 Huawei was also willing to reveal that the phone will be 7.8mm thick, and powered by a mid-range Huawei Kirin processor. Additional details will be announced in coming weeks. 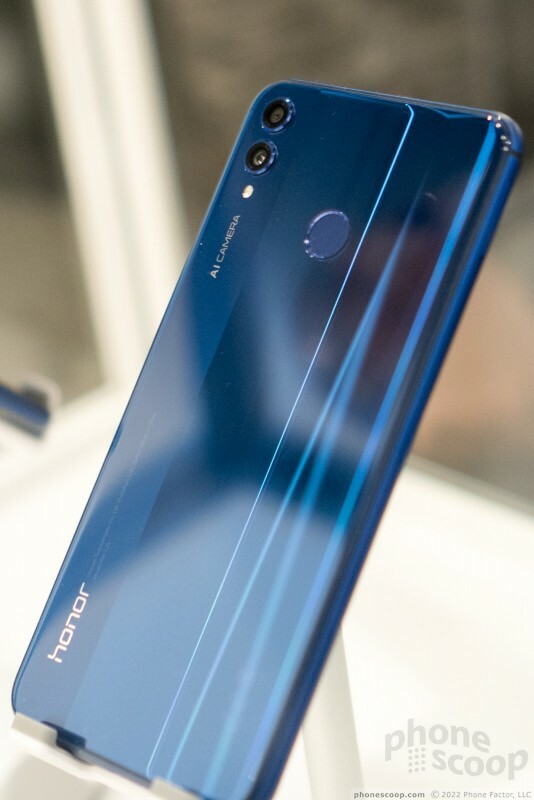 The design has a shimmering effect under the rear glass, similar to what was on the original Honor 8. But they've interrupted that with a more muted stripe down the left side, as an extra design touch. 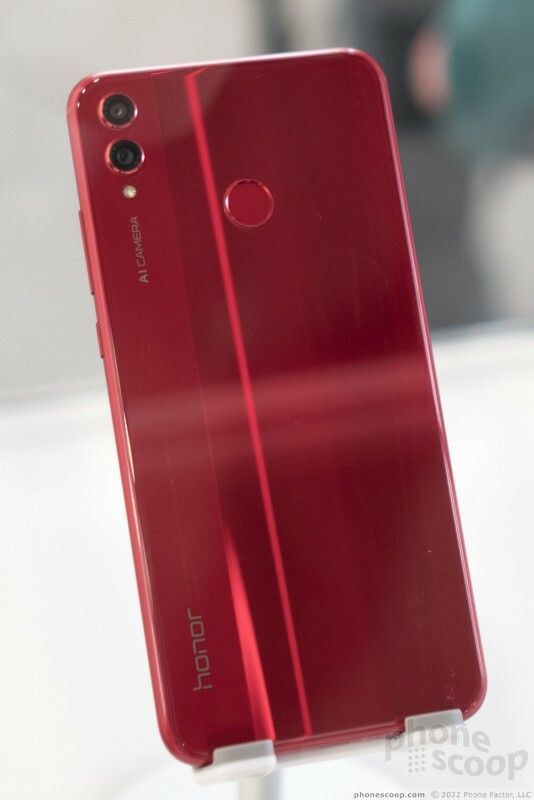 Honor today announced the 8X, a new mid-range phone that offers many of today’s most-wanted features in a more affordable package. 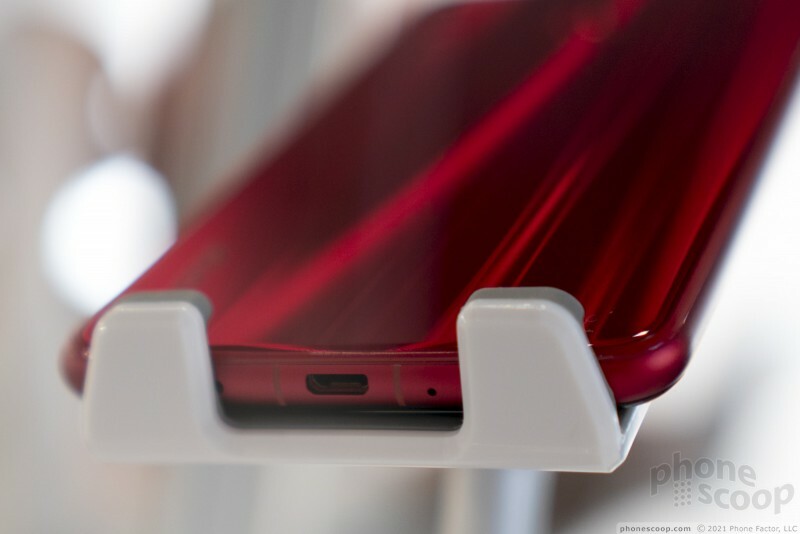 The 8X has a metal frame and two 2.5D glass panels forming the front and back. 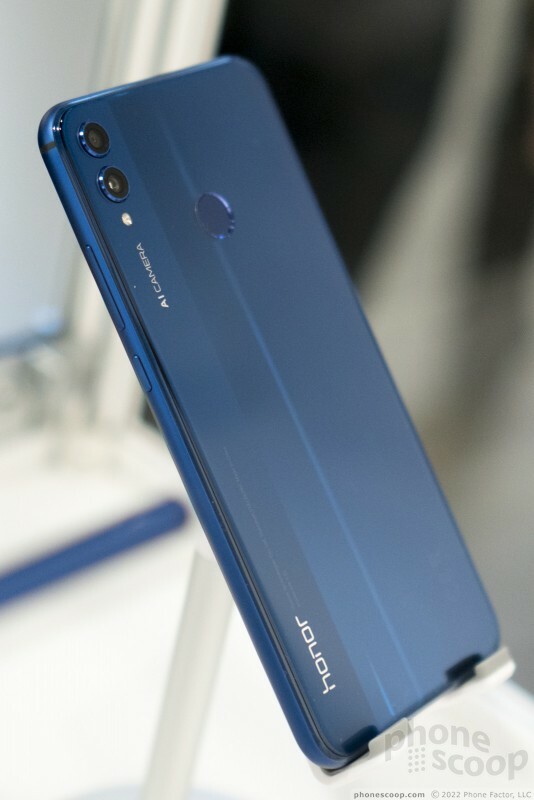 Huawei today announced the Honor V10, a flagship handset for Huawei's Honor brand. The large device takes cues from the Huawei Mate 10 and Mate 10 Pro, though there are clear differences between them and the more affordable Honor V10.